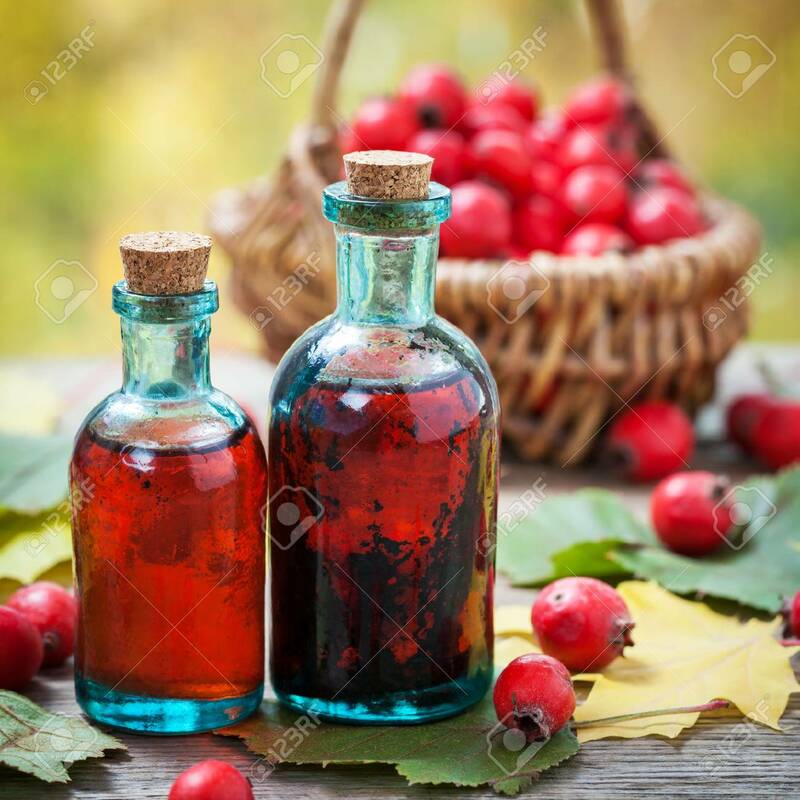 Bottles Of Hawthorn Berries Tincture And Red Thorn Apples In.. Stock Photo, Picture And Royalty Free Image. Image 47561131. Stock Photo - Bottles of hawthorn berries tincture and red thorn apples in basket on wooden table with autumn maple leaves. Herbal medicine. Selective focus. Bottles of hawthorn berries tincture and red thorn apples in basket on wooden table with autumn maple leaves. Herbal medicine. Selective focus.